This was a beautifully written book and should be a must read for anyone whose family has struggled with an Alzheimer’s diagnosis. Sent to live with her mother at an early age, Grace comes home when her brother calls because her father has had an accident. Answering the call to nurse him back to health, she immediately see some differences in her father’s behavior. Convincing her family – her two brothers and an obnoxious uncle that there’s a problem is another matter altogether. Meanwhile, the neighbours have their own set of problems. Jordan, a teenager with a serious chip on her shoulder, has to face life knowing that her mother and twin sister died driving to bail her out of jail. Her father has become a stranger to her and her young brother and sister. Throw in an overbearing real estate agent, a philandering airline pilot (and his teenage son), Grace’s boyfriend on the other side of the country, two cats and an aging Basset hound, well, they certainly round out the cast of characters in this book. 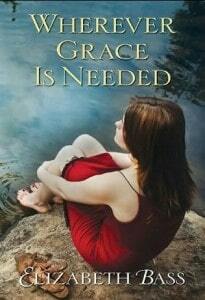 At times funny and at other times poignant, Grace finds that she is needed in more than one place. How she balances it all and stays sane is beyond me. I would have run screaming from more than one of the messes she gets into. Having watched my own grandfather struggle with his memory during the last few years of his life, this book struck a chord with me. Most of all, this is a book about learning to live life as it comes and how to let go when the time comes. Two thumbs way up!